Mellow Monk's Green Tea Blog: Matsuzaka's gyroball: myth or reality? The Red Sox have paid a lot of money for pitching sensation Daisuke Matsuzaka. 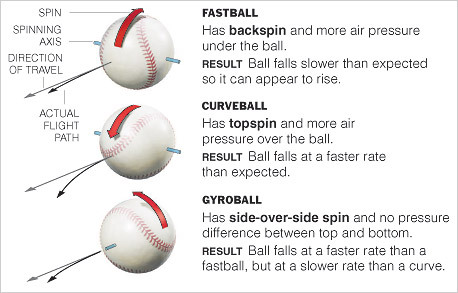 What they're hoping to get is his "ghost pitch," also known as the gyroball, supposedly the first new pitch in the major leagues since the split-fingered fastball, adopted about 30 years ago. But a lot of pundits are wondering if the gyroball is even real.